A descriptive list of all online database subscriptions available to Ledyard Library cardholders. Databases with the logo are brought to you by the Connecticut State Library and are available to all CT library cardholders. Have your library card handy for log-in. 2-1-1 Community Resources Directory – Contains information for over 4,600 health and human service providers mostly based in CT. Academic Search Premier – Multi-disciplinary full text database. Biography Reference Bank (H.W. Wilson) – Indexes, abstracts and full text articles on more than 600,000 individuals. Biography Reference Center – Contains more than 461,000 full text biographies. Chilton’s – An online version of the auto repair manuals. Christian Science Monitor – 1997 to current. Connecticut Digital Collections – Six digital collections that can be searched all at once or individually. Connecticut History.org – A project of Connecticut Humanities, stories about the people, traditions, innovations, and events that make up the rich history of CT.
Connecticut Physician Profiles – An online renewal, verification and credential management system. Creative Bug – An online resource with more than 1,000 award-winning art & craft video classes taught by recognized design experts and artists. Downloadable audio and E-Books – List of resources for free audio and e-books. ERIC (Educational Resources Information Center) – Digital library of education research and information. Fuel Economy Up to date fuel economy data for new and used passenger vehicles dating back to 1984. Hartford Courant – 1992 to present. Hartford Courant Historical – 1764 to 1922. HeritageQuest Online – Genealogical and historical sources dating back to the 1700s. Hoopla – A digital media service that allows you to borrow movies, music, audiobooks, ebooks, comics and TV shows to enjoy on your computer, tablet, or phone – and even your TV! Legal Forms – Hundreds of legal forms. Legal Information Reference Center – Full text legal reference and more than 225 full text publications and thousands of legal forms. Los Angeles Times – 1985 to present. Magill’s Medical Guide An up-to-date and easy-to-use compendium of medical information suitable for student research as well as use by general readers, including patients and caregivers. MainFile – Multi-disciplinary full text database. Mango languages – Mango has 70+ Languages and counting with specialty courses, thematic and cultural chapters, and lessons. MasterFILE Premier – Full text for nearly 1,700 periodicals covering general reference, business, health, education, general science, multicultural issues and much more. Includes Consumer Reports. MedlinePlus – Information about diseases, conditions, and wellness issues. Newspaper Source Plus – Includes more than 860 full-text newspapers and more than 35 million full-text articles. New York Times – 1985 to present. Overdrive Downloadable AudioBooks and Ebooks – Downloadable audio and E books available through LION. Price It – Prices for antiques and collectibles including prices for rare and first edition books. Professional Development Collection – Designed for professional educators, provides a highly specialized collection of nearly 520 high quality education journals, including more than 350 peer-reviewed titles. PubMed – Includes over 22 million citations for biomedical literature from MEDLINE, life science journals, and online books. 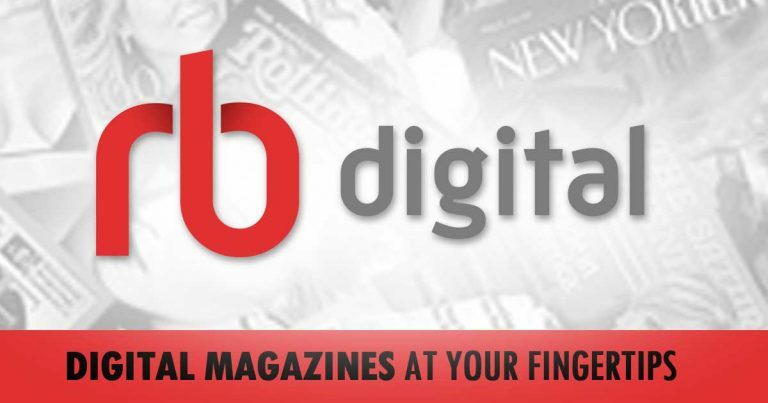 RB Digital– Links to downloadable Audio and E-Books from the State Library plus an online newsstand, offering full color, interactive digital magazines for your enjoyment. Referencia Latina – General reference resource for Spanish speakers covering issues of particular relevance for Latin America, Spain and the United States. researchIT CT Newsstand – Search all iCONN newspapers at once. researchIT CT OneSearch for Public Libraries – Index of information resources. researchIT CT OneSearch for Public Libraries – Business profiles. researchIT CT OneSearch for Middle Schools – Database for youth grades 6-12.
researchIT CT OneSearch for Elementary Schools – Database for youth in grades k-3. Science Reference Center – Comprehensive research database to access a multitude of full text science-oriented content. Teacher Reference Center – Index and abstracts for 280 periodicals, most of them are peer-reviewed. Testing and Education – An online planning tool for college and career with practice tests and online courses. TOPICSearch – Current events database provides information on social, political and economic issues, scientific discoveries and other popular topics discussed in today’s classrooms. Wall Street Journal – 1984 to present. Washington Post – 1987 to present.